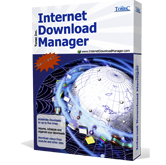 Internet Download Manager v6.32. Added Windows 10 compatibility. Fixed compatibility problems with different browsers including Internet Explorer 11, Microsoft Edge, all Mozilla Firefox and Google Chrome versions.